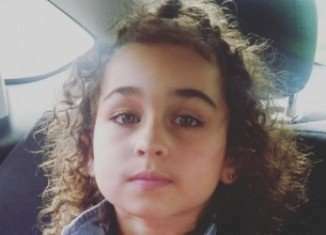 Five-year old Taliyah Marsman in a photo released by the Calgary Police. Reading about a child’s death is gut-wrenching as a parent. The solidarity you feel with other mothers and fathers makes it virtually impossible not to weep for their loss and question your faith in the world. You can’t help but imagine your own family experiencing such tragedy and reeling from the unthinkable heartbreak of losing a child. You find it hard to look your own children in the eye because the very thought of going through what five-year old Taliyah Marsman’s family is going through in this moment is too unbearable to comprehend. You feel helpless to protect your loved ones and though you try and tell yourself the world is filled with more good people than bad, you can’t help the sense of uncomfortable suspicion that washes over you every time a stranger crosses your path. What is a parent to do when it feels like the world has turned upside down? How do you move from one day to the next without feeling abandoned in a sea of more bad news than good? I wish I had answers, but in this moment only questions. Rest in Peace Taliyah Marsman and Sara Baillie. May you find lasting comfort in the arms of each other. 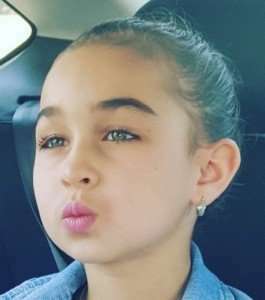 Five-year old Taliyah Marsman in a photo released by Calgary Police.